Jason Hoyer is a portfolio manager at Reams Asset Management. In this role, he is a member of the portfolio management team and a co‐portfolio manager of the Carillon Reams Bond Funds. 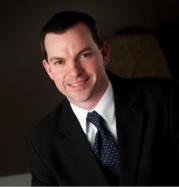 Jason has 16 years of experience as a portfolio manager, fixed income analyst, and equity analyst. Prior to joining Reams in 2015, Jason was a senior credit analyst at 40|86 Advisors and a director in the research department at Fiduciary Management Associates. Mr. Hoyer earned his bachelor’s degree from the University of Michigan. He holds the Chartered Financial Analyst (CFA) designation and is a member of the CFA Institute.